IF NBA veteran Lou Amundson fails to impress, TnT Katropa has a ready Plan B in Donte Greene in the PBA Commissioner's Cup. 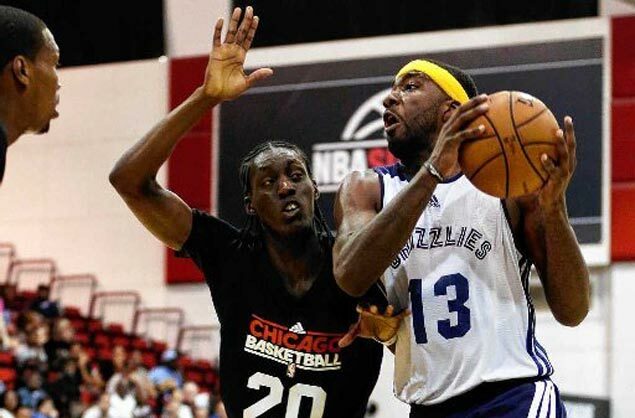 The 29-year-old Green, a first-round pick of the Memphis Grizzlies in the 2008 NBA Draft, was due to arrive late Thursday evening to join the Texters after securing his release from Puerto Rican club Capitanes de Arecibo. Greene, listed at 6-11 in the US, was TNT's original choice, but the late release of Green's papers by his mother ballclub in Puerto Rico prevented the American from coming over in time for the team's debut game against Meralco on Friday. The uncertainty of Green's situation forced TnT management to tap the services of Amundson, the former New York Knick who will see action for the team against the Bolts. "It's just a short contract for Amundson, and he knows he can be replaced by Green anytime," said a TnT insider, who refused to be named pending an official announcement by the team on the matter. "Yan ang dahilan kaya si Amundson ang ini-announce muna na import ng team dahil nga wala pang release papers si Greene," said the same team insider. Text messages and calls made by SPIN.ph to team officials and coaching staff have not been returned as of posting time. Greene, who played for Syracuse in college, played four seasons with the Sacramento Kings in the NBA. He also had stints in China, Puerto Rico, and the Middle East. He was a former Team USA member who played in the FIBA Americas U18 Championship, and later in the FIBA World U19 Championship.